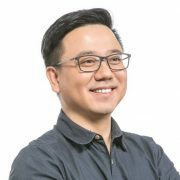 Tie-Yan Liu is an assistant managing director of Microsoft Research Asia, leading the machine learning research area. As a researcher in an industrial lab, Tie-Yan is making his unique contributions to the world. On one hand, many of his technologies have been transferred to Microsoft’s products and online services, such as Bing, Microsoft Advertising, Windows, Xbox, and Azure. He has received many recognitions and awards in Microsoft for his significant product impacts. On the other hand, he has been actively contributing to the academic community. He is an adjunct professor at CMU and several universities in China, and an honorary professor at Nottingham University. He is frequently invited to chair or give keynote speeches at major machine learning and information retrieval conferences. He is a fellow of the IEEE and a distinguished member of the ACM. Tie-Yan’s seminal contribution to the field of learning to rank has been widely recognized (https://en.wikipedia.org/wiki/Learning_to_rank). He invented several highly impactful algorithms and theories, including the listwise approach to ranking, relational ranking, and statistical learning theory for ranking. He is an advocator of learning to rank as a self-contained research discipline – he gave the first batch of keynote speeches and tutorials, organized the first series of workshops, and wrote the very first book on this topic (among top-10 Springer computer science books written by Chinese authors). He is the creator of LETOR benchmark dataset (https://www.microsoft.com/en-us/research/project/letor-learning-rank-information-retrieval), which has become a must-have experimental platform for the research on learning to rank. With his deep research and social efforts, learning to rank has become a fundamental technology in major search engines today, and it continues to be one of the most important directions in the related research communities. Tie-Yan has done impactful work on large scale machine learning. As early as in 2005, Tie-Yan has developed the largest text classifier in the world, which can categorize over 250,000 categories on 20 machines (published at SigKDD Explorations). Recently, Tie-Yan and his team developed many other large-scale machine learning tools, including the fastest and largest topic model in the world (LightLDA, with one million topics, published at WWW 2015), the largest word embedding model, the most efficient and scalable recurrent neural networks (LightRNN, published at NIPS 2016) and GBDT model (LightGBM, published at NIPS 2016 and 2017). Some of these models were open-sourced through Microsoft Distributed Machine Learning Toolkit (http://www.dmtk.io/), which has attracted millions of visitors, hundreds of thousands of downloads, and tens of thousands of stars at GitHub. The Multiverso parameter server developed by his team has also served as the distributed computational engine in Microsoft’s Cognitive Toolkits (CNTK). Recently, Tie-Yan has done advanced research on deep learning and reinforcement learning. In particular, he and his team have proposed a few new machine learning concepts, such as dual learning, learning to teach. Dual learning leverages the structure duality of AI tasks to enable effective learning even if there are no sufficient training data. Together with some other innovations including deliberation networks, dual learning has achieved the best performance in many machine translation tasks (including human parity in Chinese-to-English news translation) . Learning to teach goes beyond traditional machine learning, and utilizes reinforcement learning technologies to automate the data selection, loss function selection, and hypothesis space selection of machine learning tasks. It enlarges the scope of classical machine learning, and achieved state-of-the-art results in many tasks. These inspiring works were published at NIPS, ICML, and ICLR, and attracted a lot of attention from the research community. Tie-Yan has also conducted innovative research on algorithmic game theory. For example, in order to bridge theory and practices, he introduced many practical constraints into auction mechanism design (e.g., bounded rationality, budget constraints), and proposed a data-driven framework called “game-theoretical machine learning” for auction optimization. This framework learns the bounded rationality model from data, and optimizes the action parameters based on the learned model using a simulation-based framework. The framework extends algorithmic game theory due to the introduction of data, and extends machine learning by considering the strategic (non-i.i.d.) behaviors behind data generation. He and his team have applied their AI and game-theoretic technologies to bring digital transformations to many traditional industries, including finance and logistics. Over the years, Tie-Yan and his team have been recognized as one of the global powerhouses and trendsetter in machine learning and information retrieval. He and his team have contributed hundreds of high-impact papers at top conferences – a good indicator of their influence and impact. His top five papers have been cited about 5000 times in refereed conferences and journals. He has won quite a few awards, including the best student paper award at SIGIR (2008) and ACML (2018), the most cited paper award at Journal of Visual Communications and Image Representation (2004-2006), the research break-through award at Microsoft Research (2012), and the most cited Chinese researcher (2017, 2018). He has been invited to serve as general chair, PC chair, or area chair for a dozen of top conferences including WWW/WebConf, SIGIR, NIPS, IJCAI, AAAI, KDD, ACL, ICTIR, as well as associate editor/editorial board member of ACM Transactions on Information Systems, ACM Transactions on Web, Information Retrieval Journal, Neurocommputing, and Foundations and Trends in Information Retrieval. Tie-Yan Liu and his works have been reported by many International media, including National Public Radio, CNET, MIT Technology Review, and PCTech Magazine. We published a new book on “Distributed Machine Learning” in China. Please have a check here! We established strategic research collaborations with Asset Management of China (华夏基金) and China Taiping on AI + Investment and with Orient Overseas Container Line Limited (OOCL) on AI + Logistics. Microsoft Graph Engine (https://www.graphengine.io/), 2016 – the most powerful graph engine in the world! Microsoft Distributed Machine Learning Toolkit (http://www.dmtk.io/), 2015 – Attracted millions of page views, hundreds of thousands of downloads, and thousands of stars at GitHub; including record-keeping machine learning algorithms like LightLDA and LightGBM. LETOR Benchmark Dataset for Learning to Rank (https://www.microsoft.com/en-us/research/project/letor-learning-rank-information-retrieval/), 2007 – A must-have experimental platform for research on learning to rank. According to incomplete statistics, more than half of the papers on learning to rank published at major conferences and journals have used this dataset for their evaluations in the past ten years. We are hiring at all levels (especially senior researchers)! If your major is machine learning (especially deep learning and distributed machine learning), and you have the passion to change the world, please send your resume to tyliu@microsoft.com. General Co-Chair, ICTIR 2018, CCIR 2018. PC Co-Chair, WebConf 2020, SocInfo 2015, ACML 2015, WINE 2014, AIRS 2013, RIAO 2010. Tutorial Co-Chair, SIGIR 2016, WWW 2014, WebConf 2020. Doctorial Consortium Co-Chair, WSDM 2015. PhD Symposium Co-Chair, WWW 2016. Demo/exhibition Co-Chair, KDD 2012, SIGIR 2019. Track Chair / Area Chair/ Senior PC member, SIGIR 2019, WebConf 2019, AAAI 2019, NIPS 2018, IJCAI 2018, SIGIR 2018, NAACL 2018, AAAI 2018, NIPS 2017, ACL 2017, SIGIR 2017, AAAI 2017, IJCAI 2017, KDD 2017, IJCAI 2016, KDD 2016, AAAI 2016, NIPS 2015, IJCAI 2015, KDD 2015, WWW 2015, ACML 2014, IJCAI 2013, WWW 2011. SIGIR 2008-2011, AIRS 2009-2011. Associate Editor, ACM Transactions on Information System, ACM Transactions on Web, Neurocomputing. Editorial Board Member, Information Retrieval Journal, and Foundations and Trends in Information Retrieval. Guest Editor, Special issue on Machine Learning in Asia, Machine Learning Journal 2016, Special issue on Learning to Rank for IR, Information Retrieval Journal 2010; Special issue on Learning to Rank Challenge, Journal of Machine Learning Research 2011. Tutorial speaker, AAAI 2017, WWW 2017, KDD 2012, SIGIR 2012, WWW 2011, SIGIR 2010, WWW 2009, WWW 2008, SIGIR 2008. Keynote speaker, ACML 2016, ECML/PKDD 2014, ORSC 2014, CCIR 2014, CCML 2013, PCM 2010, CCIR 2011. Workshop Co-chair, AAAI Workshop on Distributed Machine Learning (DML), 2017; KDD Workshop on Internet Economics and Online Advertising (ADKDD), 2012; SIGIR Workshop on Online Advertising, 2011; NIPS Workshop on Machine Learning in Online Advertising, 2010; ICML Workshop on Learning to Rank, 2010; SIGIR Workshop on Learning to Rank, 2007-2009. Regularly serve as program committee member / reviewer for many leading international conferences, including SIGIR, NIPS, ICML, ICLR, KDD, AAAI, WWW, WSDM, SDM, ICDM, CIKM, ECIR, ACL, ICIP, etc. Vice Chair, CIPS Information Retrieval Technical Committee. Co-director, MOE MSRA-HKUST joint lab. Honorary professor of University of Nottingham. “Research team of the year” award (2017), Microsoft Research Asia. Tie-Yan Liu. Learning to Rank for Information Retrieval, Springer, 2011. Li He, Shuxin Zheng, Wei Chen, Zhi-Ming Ma, and Tie-Yan Liu, OptQuant: Distributed Training of Neural Networks with Optimized Quantization Mechanisms, NeuroComputing, 2019. Fei Tian, Tao Qin, and Tie-Yan Liu, Computational Pricing in Internet Era, Frontiers of Computer Science, 2018. Liang He, Bin Shao, Yanghua Xiao, Yatao Li, Tie-Yan Liu, Enhong Chen, and Huanhuan Xia, Neurally-Guided Semantic Navigation in Knowledge Graph, IEEE Transactions on Big Data, 2018. Xujin Chen, Xiaodong Hu, Tie-Yan Liu, Weidong Ma, Tao Qin, Pingzhong Tang, Changjun Wang, and Bo Zheng, Efficient Mechanism Design for Online Scheduling, Journal of Artificial Intelligence Research, 2016. Chang Xu, Gang Wang, Xiaoguang Liu, Tie-Yan Liu, Health Status Assessment and Failure Prediction for Hard Drives with Recurrent Neural Networks, IEEE Transactions on Computers, 2016. Wei Chen, Tie-Yan Liu, and Xinxin Yang, Reinforcement Learning Behaviors in Sponsored Search, Applied Stochastic Models in Business and Industry, 2016. Qing Cui, Bin Gao, Jiang Bian, Hanjun Dai, and Tie-Yan Liu, KNET: A General Framework for Learning Word Embedding using Morphological Knowledge, ACM Transactions on Information Systems, 2015. Wei Wei, Bin Gao, Tie-Yan Liu, Taifeng Wang, Guohui Li, and Hang Li, A Ranking Approach on Large-scale Graph with Multi-dimensional Heterogeneous Information, IEEE Transactions on Cybernetics, 2015. Tao Qin, Wei Chen, and Tie-Yan Liu, Sponsored Search Auctions: Recent Advances and Future Directions, ACM Transactions on Intelligent Systems and Technology, 2014. Ying Zhang, Weinan Zhang, Bin Gao, Xiaojie Yuan, and Tie-Yan Liu, Bid Keyword Suggestion in Sponsored Search based on Competitiveness and Relevance, Information Processing and Management, 2014. Bin Gao, Tie-Yan Liu, Yuting Liu, Taifeng Wang, Zhiming Ma, and Hang Li, Page Importance Computation based on Markov Processes, Information Retrieval, 2011. Olivier Chapelle, Yi Chang, and Tie-Yan Liu, Future research directions on learning to rank, Proceeding track, Journal of Machine Learning Research, 2011. Xiubo Geng, Tie-Yan Liu, Tao Qin, Xueqi Cheng, Hang Li, Selecting Optimal Training Data for Learning to Rank, Information Processing and Management, 2011. Yin He and Tie-Yan Liu, Tendency Correlation Analysis for Direct Optimization of Evaluation Measures in Information Retrieval, Information Retrieval, 2010. Tie-Yan Liu, Thorsten Joachims, Hang Li, and Chengxiang Zhai, Introduction to special issue on learning to rank for information retrieval, Information Retrieval, 2010. Tie-Yan Liu. Learning to Rank for Information Retrieval, Foundations and Trends in Information Retrieval, 2009. Yuting Liu, Tie-Yan Liu, Zhiming Ma, and Hang Li. A Framework to Compute Page Importance based on User Behaviors, Information Retrieval, 2009. Tao Qin, Tie-Yan Liu, and Hang Li, A General Approximation Framework for Direct Optimization of Information Retrieval Measures, Information Retrieval, 2009. Tao Qin, Xu-Dong Zhang, Ming-Feng Tsai, De-Sheng Wang, Tie-Yan Liu, and Hang Li. Query-level Loss Function for Information Retrieval. Information Processing and Management, 2007. Tao Qin, Xu-Dong Zhang, Tie-Yan Liu, De-Sheng Wang, Hong-Jiang Zhang. An Active Feedback Framework for Image Retrieval, Pattern Recognition Letters, 2007. Ying Bao, Guang Feng, Tie-Yan Liu, Zhiming Ma and Ying Wang. Ranking Websites: A Probabilistic View, Internet Mathematics, 2007. Tao Qin, Tie-Yan Liu, Xu-Dong Zhang, Guang Geng, De-Sheng Wang, and Wei-Ying Ma. Topic Distillation Via Subsite Retrieval, Information Processing and Management, 2006. Bin Gao, Tie-Yan Liu, Xin Zheng, Qiansheng Cheng, and Wei-Ying Ma. Hierarchical Taxonomy Preparation for Text Categorization Using Consistent Bipartite Spectral Graph Co-partitioning, IEEE Transactions on Knowledge and Data Engineering, 2005. Tie-Yan Liu, Yiming Yang, Hao Wan, Hua-Jun Zeng, Zheng Chen, and Wei-Ying Ma. Support Vector Machines Classification with Very Large Scale Taxonomy, SIGKDD Explorations, 2005. Tie-Yan Liu, Kwoktung Lo, Xu-Dong Zhang, and Jian Feng. A New Cut Detection Algorithm with Constant False-Alarm Ratio for Video Segmentation, Journal of Visual Communications and Image Representation, 2004. Tie-Yan Liu, Xu-Dong Zhang, Jian Feng, and Kwoktung Lo. Shot Reconstruction Degree: a Novel Criterion for Key Frame Selection, Pattern Recognition Letters, 2004. Tie-Yan Liu, Kwoktung Lo, Xu-Dong Zhang, and Jian Feng. Frame Interpolation Scheme Using Inertia Motion Prediction. Signal Processing: Image Communication, 2003. Tie-Yan Liu, Kwoktung Lo, Xu-Dong Zhang, and Jian Feng. Inertia-based Cut Detection and Its Integration with Video Coder. IEE Proceedings on Vision, Image and Signal Processing, 2003. Xihan Li, Jia Zhang, Jiang Bian, Yunhai Tong, and Tie-Yan Liu, A Cooperative Multi-Agent Reinforcement Learning Framework for Resource Balancing in Complex Logistics Network, AAMAS 2019. Chengyue Gong, Di He, Xu Tan, Tao Qin, Liwei Wang, Tie-Yan Liu, Improving Word Embedding by Adversarial Training, NIPS 2018. Lijun Wu, Fei Tian, Yingce Xia, Tao Qin, Tie-Yan Liu, Learning to Teach with Dynamic Loss Functions, NIPS 2018. Renqian Luo, Fei Tian, Tao Qin, Tie-Yan Liu, Automatic Neural Architecture Design: From Search to Optimization, NIPS 2018. Tianyu He, Xu Tan, Yingce Xia, Di He, Tao Qin, Zhibo Chen, Tie-Yan Liu, Layer-Wise Coordination between Encoder and Decoder for Neural Machine Translation, NIPS 2018. Huishuai Zhang, Wei Chen, and Tie-Yan Liu, On the Local Hessian in Back-propagation, NIPS 2018. Xu Tan, Lijun Wu, Di He, Fei Tian, Tao QIN, Jianhuang Lai and Tie-Yan Liu, Beyond Error Propagation in Neural Machine Translation: Characteristics of Language Also Matter, EMNLP 2018. Zhuohan Li, Di He, Fei Tian, Wei Chen, Tao Qin, Liwei Wang, and Tie-Yan Liu, Towards Binary-Valued Gates for Robust LSTM Training, ICML 2018. Chenyan Xiong, Zhengzhong Liu, Jamie Callan and Tie-Yan Liu, Towards Better Text Understanding and Retrieval through Kernel Entity Salience Modeling, SIGIR 2018. Li Han, Qi Meng, Wei Chen, Zhiming Ma, Tie-Yan Liu, Differential Equations for Modeling Asynchronous Algorithms, IJCAI 2018. Fei Tian, Tao Qin, and Tie-Yan Liu, Learning to Teach, ICLR 2018. Yanyao Shen, Xu Tan, Di He, Tao Qin, and Tie-Yan Liu, Dense Information Flow for Neural Machine Translation, NAACL 2018. Shizhao Sun, Wei Chen, Jiang Bian, Tie-Yan Liu, Slim-DP: A Multi-Agent System for Communication-Efficient Distributed Deep Learning, AAMAS 2018. Yijun Wang , Yingce Xia , Li Zhao , Jiang Bian , Tao Qin, Guiquan Liu , Tie-Yan Liu, Dual Transfer Learning for Neural Machine Translation with Marginal Distribution Regularization, AAAI 2018. Lijun Wu, Fei Tian , Li Zhao , JianHuang Lai , Tie-Yan Liu, Word Attention for Sequence to Sequence Text Understanding, AAAI 2018. Ziniu Hu, Weiqing Liu, Jiang Bian, Xuanzhe Liu, Tie-Yan Liu, Listening to Chaotic Whispers: A Deep Learning Framework for News-oriented Stock Trend Prediction, WSDM 2018. Yingce Xia , Lijun Wu , Jianxin Lin , Fei Tian , Tao Qin , and Tie-Yan Liu, Deliberation Networks: Sequence Generation Beyond One-Pass Decoding, NIPS 2017. Guolin Ke, Qi Meng, Taifeng Wang, Wei Chen, Weidong Ma, Tie-Yan Liu, LightGBM: A Highly Efficient Gradient Boosting Decision Tree, NIPS 2017. Yingce Xia, Tao Qin, Wei Chen, Tie-Yan Liu, Dual Supervised Learning, ICML 2017. Shuxin Zheng, Qi Meng, Taifeng Wang, Wei Chen, and Tie-Yan Liu, Asynchronous Stochastic Gradient Descent with Delay Compensation, ICML 2017. Quanming Yao, James Kwok, Fei Gao, Wei Chen, and Tie-Yan Liu, Efficient Inexact Proximal Gradient Algorithm for Nonconvex Problems, IJCAI 2017. Chenyan Xiong, Jamie Callan, and Tie-Yan Liu, Learning to Attend and to Rank with Word-Entity Duets, SIGIR 2017. Qi Meng, Wei Chen, Jingcheng Yu, Taifeng Wang, Zhi-Ming Ma and Tie-Yan Liu, Asynchronous Stochastic Proximal Optimization Algorithms with Variance Reduction, AAAI 2017. Qi Meng, Yue Wang, Wei Chen, Taifeng Wang, Zhi-Ming Ma and Tie-Yan Liu, Generalization Error Bounds for Optimization Algorithms via Stability, AAAI 2017. Shizhao Sun, Wei Chen, Jiang Bian, and Tie-Yan Liu, Ensemble-Compression: A New Method for Parallel Training of Deep Neural Networks, ECML 2017. Fei Tian, Yingce Xia, Tao Qin, Tie-Yan Liu, Sequence Generation with Target Attention, ECML 2017. Huazheng Wang, Fei Tian, Bin Gao, Chenjieren Zhu, Jiang Bian, Tie-Yan Liu, Solving Verbal Comprehension Questions in IQ Test by Knowledge-Powered Word Embedding, EMNLP 2016. Yingce Xia, Tao Qin, Weidong Ma, Nenghai Yu and Tie-Yan Liu, Budgeted Multi-armed Bandits with Multiple Plays, IJCAI 2016. Qi Meng, Wei Chen, Jingcheng Yu, Taifeng Wang and Tie-Yan Liu, Asynchronous Accelerated Stochastic Gradient Descent, IJCAI 2016. Yingce Xia, Tao Qin, Tie-Yan Liu, Best Action Selection in a Stochastic Environment, AAMAS 2016. Jiang Rong, Tao Qin, Bo An, Tie-Yan Liu, Optimal Sample Size for Adword Auctions, AAMAS 2016. Shizhao Sun, Wei Chen, Liwei Wang, and Tie-Yan Liu, On the Depth of Deep Neural Networks: A Theoretical View, AAAI 2016. Bolei Xu, Tao Qin, Guoping Qiu, and Tie-Yan Liu, Competitive Pricing for Cloud Computing in an Evolutionary Market, IJCAI 2015. Changjun Wang, Weidong Ma, Tao Qin, Xujin Chen, Xiaodong Hu, and Tie-Yan Liu, Selling Reserved Instances in Cloud Computing, IJCAI 2015. Shanshan Huang, Shuaiqiang Wang, Tie-Yan Liu, Jun Ma, Zhumin Chen, and Jari Veijalainen, Listwise Collaborative Filtering, SIGIR 2015. Binyi Chen, Tao Qin, and Tie-Yan Liu, Mechanism Design for Daily Deals, AAMAS 2015. Jinhui Yuan, Fei Gao, Qirong Ho, Wei Dai, Jinliang Wei, Xun Zheng, Eric Xing, Tie-Yan Liu, and Wei-Ying Ma, LightLDA: Big Topic Models on Modest Computer Cluster, WWW 2015. Tie-Yan Liu, Wei Chen, and Tao Qin, Mechanism Learning with Mechanism Induced Data, Senior Member Track, AAAI 2015. Haifang Li, Wei Chen, Fei Tian, Tao Qin, and Tie-Yan Liu, Generalization Analysis for Game-theoretic Machine Learning, AAAI 2015. Chang Xu, Yalong Bai, Jiang Bian, Bin Gao, and Tie-Yan Liu, A General Approach to Incorporate Knowledge into Word Representation, CIKM 2014. Fei Tian, Jiang Bian, Bin Gao, Hanjun Dai, Rui Zhang, and Tie-Yan Liu, A Scalable Probabilistic Model for Learning Multi-Prototype Word Embedding, COLING 2014. Siyu Qiu, Qing Cui, Jiang Bian, Bin Gao, and Tie-Yan Liu, Co-learning of Word Representations and Morpheme Representations, COLING 2014. Bin Gao, Jiang Bian, and Tie-Yan Liu, Knowledge Powered Deep Learning for Word Embedding, ECML/PKDD 2014. Wei Chen, Di He, Tie-Yan Liu, Tao Qin, Yixin Tao, Liwei Wang, Generalized Second Price Auction with Probabilistic Broad Match, EC 2014. Yingce Xia, Tao Qin and Tie-Yan Liu, Incentivizing High-quality Content from Heterogeneous Users: On the Existence of Nash Equilibrium, AAAI 2014. Fei Tian, Haifang Li, Wei Chen, Tao Qin and Tie-Yan Liu, Agent Behavior Prediction and Its Generalization Analysis, AAAI 2014. Fei Tian, Bin Gao and Tie-Yan Liu, Learning Deep Representations for Graph Clustering, AAAI 2014. Yuyu Zhang, Hanjun Dai, Chang Xu, Jun Feng, Taifeng Wang, Jiang Bian, Bin Wang and Tie-Yan Liu, Sequential Click Prediction for Sponsored Search with Recurrent Neural Networks, AAAI 2014. Tie-Yan Liu, Weidong Ma, Tao Qin, and Tao Wu, Generalized Second Price Auctions with Value Externalities, AAMAS 2014. Jiang Bian, Taifeng Wang, and Tie-Yan Liu, Sampling Dilemma: Towards Effective Data Sampling for Click Prediction in Sponsored Search, WSDM 2014. Yining Wang, Liwei Wang, Yuanzhi Li, Di He, Wei Chen, and Tie-Yan Liu, A Theoretical Analysis of NDCG Type Ranking Measures, COLT 2013. Weihao Kong, Jian Li, Tie-Yan Liu and Tao Qin, Optimal Allocation for Chunked-Reward Advertising, WINE 2013. Taifeng Wang, Jiang Bian, Shusen Liu, Yuyu Zhang, and Tie-Yan Liu, Psychological Advertising: Exploring Consumer Psychology for Click Prediction in Sponsored Search, KDD 2013. Di He, Wei Chen, Liwei Wang, and Tie-Yan Liu, A Game-theoretic Machine Learning Approach for Revenue Maximization in Sponsored Search, IJCAI 2013. Wenkui Ding, Tao Qin, and Tie-Yan Liu, Multi-Armed Bandit with Budget Constraint and Variable Costs, AAAI 2013. Haifeng Xu, Diyi Yang, Bin Gao and Tie-Yan Liu, Predicting Advertiser Bidding Behaviors in Sponsored Search by Rationality Modeling, WWW 2013. Lei Yao, Wei Chen and Tie-Yan Liu, Convergence Analysis for Weighted Joint Strategy Fictitious Play in Generalized Second Price Auction, WINE 2012. Weinan Zhang, Ying Zhang, Bin Gao, Yong Yu, Xiaojie Yuan, and Tie-Yan Liu, Joint optimization of bid and budget allocation in sponsored search, KDD 2012. Chenyan Xiong, Taifeng Wang, Wenkui Ding, Yidong Shen, Tie-Yan Liu. Relational Click Prediction for Sponsored Search, WSDM 2012. Yanyan Lan, Jiafeng Guo, Xueqi Cheng, Tie-Yan Liu, Statistical Consistency of Ranking Methods in A Rank-Differentiable Probability Space. NIPS 2012. Zhicong Cheng, Bin Gao, Congkai Sun, Yanbing Jiang, and Tie-Yan Liu. Let Web Spammers Expose Themselves, WSDM 2011. Zhicong Cheng, Bin Gao, and Tie-Yan Liu, Actively Predicting Diverse Search Intent from User Browsing Behaviors, WWW 2010. Tao Qin, Xiubo Geng, and Tie-Yan Liu, A New Probabilistic Model for Rank Aggregation, NIPS 2010. Wei Chen, Tie-Yan Liu, Zhiming Ma, Two-Layer Generalization Analysis for Ranking Using Rademacher Average, NIPS 2010. Jiang Bian, Tie-Yan Liu, Tao Qin, and Hongyuan Zha, Query-dependent Loss Function for Web Search. WSDM 2010. Fen Xia, Tie-Yan Liu, Hang Li, Statistical Consistency of Top-k Ranking, NIPS 2009. Wei Chen, Tie-Yan Liu, Yanyan Lan, Zhiming Ma, Hang Li, Ranking Measures and Loss Functions in Learning to Rank, NIPS 2009. Yanyan Lan, Tie-Yan Liu, Zhiming Ma, and Hang Li. Generalization Analysis for Listwise Learning to Rank Algorithms, ICML 2009. Tao Qin, Tie-Yan Liu, Xu-Dong Zhang, De-Sheng Wang, and Hang Li. Global Ranking Using Continuous Conditional Random Fields, NIPS 2008. Fen Xia, Tie-Yan Liu, Jue Wang, Wensheng Zhang, and Hang Li. Listwise Approach to Learning to Rank: Theory and Algorithm, ICML 2008. Yanyan Lan, Tie-Yan Liu, Tao Qin, Zhiming Ma, and Hang Li. Query-level Stability and Generalization in Learning to Rank, ICML 2008. Tao Qin, Tie-Yan Liu, Xu-Dong Zhang, De-Sheng Wang, Wen-Ying Xiong, and Hang Li. Learning to Rank Relational Objects and Its Application to Web Search, WWW 2008. Xiubo Geng, Tie-Yan Liu, Tao Qin, Andrew Arnold, Hang Li, and Heung-Yeung Shum. Query-dependent Ranking using K-Nearest Neighbor, SIGIR 2008. Yuting Liu, Bin Gao, Tie-Yan Liu, Ying Zhang, Zhiming Ma, Shuyuan He, and Hang Li. BrowseRank: Letting Web Users Vote for Page Importance, SIGIR 2008. Jun Xu, Tie-Yan Liu, Min Lu, Hang Li, and Wei-Ying Ma. Directly Optimizing IR Evaluation Measures in Learning to Rank, SIGIR 2008. Zhe Cao, Tao Qin, Tie-Yan Liu, Ming-Feng Tsai, and Hang Li. Learning to Rank: From Pairwise Approach to Listwise Approach. ICML 2007. Yuting Liu, Tie-Yan Liu, Tao Qin, Zhi-Ming Ma, and Hang Li. Supervised Rank Aggregation, WWW 2007. Xiubo Geng, Tie-Yan Liu, Tao Qin, and Hang Li. Feature Selection for Ranking, SIGIR 2007. Mingfeng Tsai, Tie-Yan Liu, Tao Qin, Hsin-Hsi Chen, and Wei-Ying Ma. FRank: A Ranking Method with Fidelity Loss, SIGIR 2007. Tao Qin, Tie-Yan Liu, Wei Lai, Xu-Dong Zhang, De-Sheng Wang, and Hang Li. Ranking with Multiple Hyperplanes, SIGIR 2007. Guang Feng, Tie-Yan Liu, Ying Wang, Ying Bao, Zhiming Ma, Xu-Dong Zhang, and Wei-Ying Ma. AggregateRank: Bringing Order to Websites, SIGIR 2006. Yunbo Cao, Jun Xu, Tie-Yan Liu, Hang Li, Yalou Huang, and Hsiao-Wuen Hon. Adapting Ranking SVM to Document Retrieval, SIGIR 2006. Qiankun Zhao, Chuhong Hoi, Tie-Yan Liu, Sourav S. Bhowmick, Michael R. Lyu, and Wei-Ying Ma. Time-Dependent Semantic Similarity Measure of Queries Using Historical Click-Through Data, WWW 2006. Qiankun Zhao, Tie-Yan Liu, Sourav S. Bhowmick, and Wei-Ying Ma. Event Detection from Evolution of Click-through Data, KDD 2006. Tao Qin, Tie-Yan Liu, Xu-Dong Zhang, Zheng Chen, and Wei-Ying Ma. A Study on Relevance Propagation for Web Search, SIGIR 2005. Bin Gao, Tie-Yan Liu, Xin Zheng, Qian-Sheng Cheng, and Wei-Ying Ma. Consistent Bipartite Graph Co-Partitioning for Star-Structured High-Order Heterogeneous Data Co-Clustering, KDD 2005. Bin Gao, Tie-Yan Liu, Tao Qin, Xin Zheng, Qian-Sheng Cheng, and Wei-Ying Ma. Web Image Clustering by Consistent Utilization of Visual Features and Surrounding Texts, ACM Multimedia 2005. Tie-Yan Liu, Tao Qin and Hong-Jiang Zhang. Time-constraint Boost for TV Commercials Detection. IEEE ICIP 2004. Bin Gao, Tie-Yan Liu, Qian-Sheng Cheng, and Wei-Ying Ma. A Linear Approximation Based Method for Noise-Robust and Illumination-invariant Image Change Detection. PCM 2004. Tie-Yan Liu, Kwok-Tung Lo, Xu-Dong Zhang, and Jian Feng. Constant False-alarm Ratio Processing for Video Cut Detection, IEEE ICIP 2002. Jian Feng, Tie-Yan Liu, Kwok-Tung Lo , and Xu-Dong Zhang. Adaptive Motion Tracking for Fast Block Motion Estimation, IEEE ISCAS 2001. Shuaiqiang Wang, Shanshan Huang, Tie-Yan Liu, Jun Ma, Zhumin Chen, Jari Veijalainen, Ranking-oriented Collaborative Filtering: A Listwise Approach, ACM Transactions on Information Systems, 2016. Tao Qin, Tie-Yan Liu, Jun Xu, and Hang Li, LETOR: A Benchmark Collection for Research on Learning to Rank for Information Retrieval, Information Retrieval, 2009. Renqian Luo, Fei Tian, Tao Qin, Tie-Yan Liu, Neural Architecture Optimization, NIPS 2018. Di He, Wei Chen, Liwei Wang, and Tie-Yan Liu, Online Learning for Auction Mechanism in Bandit Setting, Decision Support Systems, 2013. Tie-Yan Liu is an assistant managing director of Microsoft Research Asia, leading the machine learning research area. He is very well known for his pioneer work on learning to rank and computational advertising, and his recent research interests include deep learning, reinforcement learning, and distributed machine learning. Many of his technologies have been transferred to Microsoft’s products and online services (such as Bing, Microsoft Advertising, Windows, Xbox, and Azure), and open-sourced through Microsoft Cognitive Toolkit (CNTK), Microsoft Distributed Machine Learning Toolkit (DMTK), and Microsoft Graph Engine. He has also been actively contributing to academic communities. He is an adjunct/honorary professor at Carnegie Mellon University (CMU), University of Nottingham, and several other universities in China. He has published 200+ papers in refereed conferences and journals, with around 20000 citations. He has won quite a few awards, including the best student paper award at SIGIR (2008) and ACML (2018), the most cited paper award at Journal of Visual Communications and Image Representation (2004-2006), the research break-through award (2012) and research-team-of-the-year award (2017) at Microsoft Research, and Top-10 Springer Computer Science books by Chinese authors (2015), the most cited Chinese researcher by Elsevier (2017, 2018), China AI Leader Award – Technical Innovation (2018), and Most Influential Scholar Award by AMiner (2007-2017). He has been invited to serve as general chair, program committee chair, local chair, or area chair for a dozen of top conferences including WWW/WebConf, SIGIR, KDD, ICML, NIPS, IJCAI, AAAI, ACL, ICTIR, as well as associate editor of ACM Transactions on Information Systems, ACM Transactions on the Web, and Neurocomputing. Tie-Yan Liu is a fellow of the IEEE, and a distinguished member of the ACM.